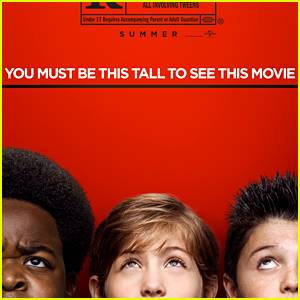 The Good Boys aren’t tall enough for their own film in the first poster! The creative minds behind Superbad, Pineapple Express, and Sausage Party take on sixth grade hard in the outrageous R-rated comedy, directed by Gene Stupnitsky. Good Boys also stars Lil Rel Howery. Don’t miss it when it hits theaters on August 16! 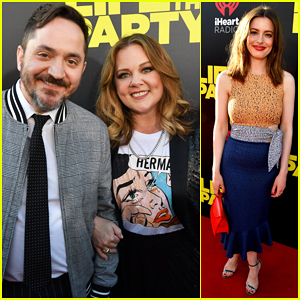 Melissa McCarthy is all smiles as she poses alongside her hubby Ben Falcone at the world premiere of their latest film Life Of The Party held at AMC Tiger 13 on Monday (April 30) in Opelika, Alabama. The 47-year-old actress and the 44-year-old writer-director were joined at the event by co-stars Gillian Jacobs, Stephen Root, Julie Bowen, Molly Gordon, Debby Ryan, Adria Arjona, Jessie Ennis and Luke Benward. At the premiere, Melissa revealed that she and Ben spent their 10th anniversary shooting a scene in which her character gets frisky in the school library with a hunky college kid, played by Luke. “We shot a very smoochy-smooch scene in the library on our 10th anniversary, so Ben had to keep yelling out, ‘Happy 10th anniversary! I love you! And kiss her harder!’,” Melissa told Wonderwall. FYI: Gillian is wearing an Opening Ceremony dress. Molly is wearing Prada, Sergio Rossi shoes and Meira T jewelry. The new trailer for Life of the Party is here! The film, which stars Melissa McCarthy, tells the story of longtime dedicated housewife Deanna who, when her husband suddenly dumps her, turns regret into re-set by going back to college—alongside her daughter—and plunging headlong into the campus experience. 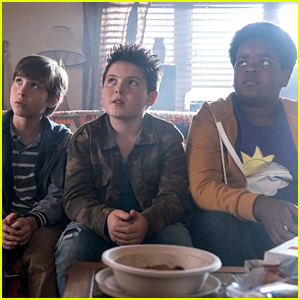 The movie, which is directed by Ben Falcone, co-stars Gillian Jacobs, Maya Rudolph, Julie Bowen, Matt Walsh, Molly Gordon, Stephen Root, Jacki Weaver, Jessie Ennis, Adria Arjona, Debby Ryan and Jimmy O. Yang. The movie will be released on May 11. Watch the trailer below! Ellen Barkin & Scott Speedman Premiere 'Animal Kingdom' In Venice - Watch First 11 Minutes! Ellen Barkin keeps it cool and casual as she hits the blue carpet at the season one premiere of Animal Kingdom held at The Rose Room on Wednesday (June 8) in Venice, Calif. 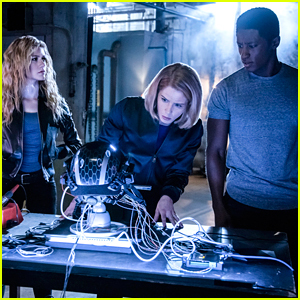 The 62-year-old actress was joined at the event by her co-stars Scott Speedman, Daniella Alonso, Molly Gordon, Jake Weary, Shawn Hatosy, Finn Cole, Ben Robson, Nicki Micheaux and Christina Ochoa. The two hour season premiere of Animal Kingdom hits TNT on Tuesday (June 14) at 9/8c – Watch an 11 minute sneak peak below!